Specialized Resource Group is a private investigation firm in Orange County that offers a range of investigative services. Our highly trained team can help you with the location of missing persons, marital infidelity and more. If you need the services of a private investigator in Orange County, the knowledgeable team at Specialized Resource Group will be happy to provide a private detective to work with you and uncover important information that is necessary to assist you with your case. If you choose Specialized Resource Group, you should know that your case will be handled discreetly and professionally. What Types of Investigative Services Does Specialized Resource Group Provide? Specialized Resource Group offers a complete line of investigative services, all conducted by professional private investigators. 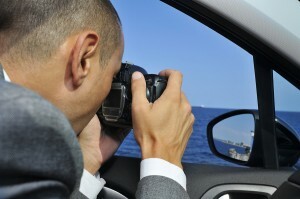 Our main focus is on providing the most discreet and professional private investigator services for our clients. Our team is happy to help you, no matter how large or small the job may be. How Do You Choose Your Investigators? At SRG, we are very careful when choosing our investigators. We make sure that each one is a graduate of one of the best private investigator training programs available. They also know how to follow the protocols and rules set down by recognized law enforcement authorities, such as the Federal Bureau of Investigation and the State of California Bureau of Investigation. Many of our private detective are have previous military or law enforcement training, which ensures that our investigators have the skills needed for the job. Are There Any Advantages to Choosing SRG? SRG was founded by Bud Adams, a man who saw the need for private detective services in Orange County and Southern California. The team at SRG uses the latest and greatest technology to perform a wide range of services, such as surveillance and gathering hard-to-obtain data, for our clients. SRG team members uphold the highest professional standards and are happy to comply with all federal and state laws. SRG is here to provide private detective services. Specialized Resource Group is ready to aid you with your case, promising to deliver the results you need through a highly trained private investigator in Orange County.